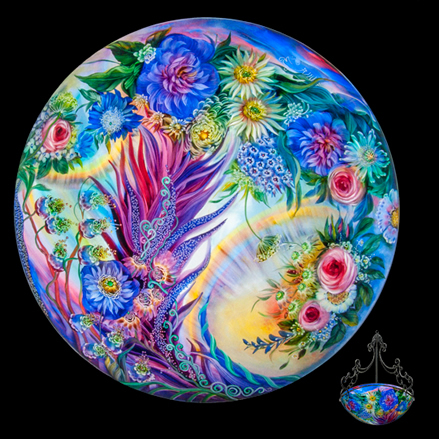 Ulla Darni is a Danish-born Glass Artist and a practitioner of the technique of Reverse Painting on Glass. Darni combines Old World craftsmanship with New Age values in spectacular lines of original glass art, including chandeliers, lamps, sconces and lanterns. 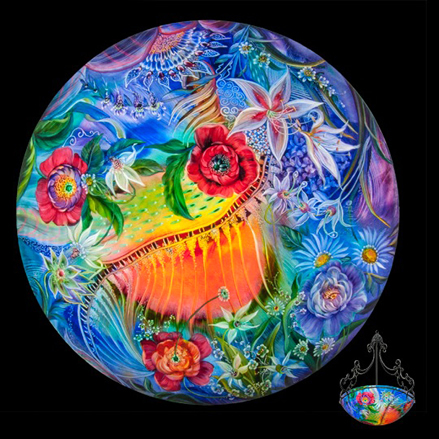 Commissions are available to create the perfect original illuminated art for your home. The original ironwork shown in the images is the traditional style and is also available in a contemporary design. Contact Galleria Silecchia for more on Danish glass painter, Ulla Darni.